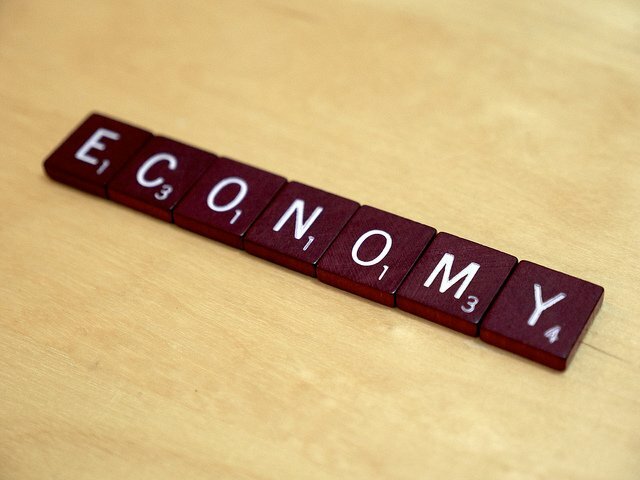 The UK economy is set to grow by around 0.5 percent before the end of 2014, according to a recent survey. Even though this figure is less than what was forecast earlier this year, it represents the worst case scenario. The most optimistic prediction is a rise of 0.8 percent. Despite the future being uncertain, some believe the British economy is still growing at a faster rate than its counterparts around the globe. Regardless of whether there is an economic recovery or rescission, it is always a risk to start up a new business. For the moment, however, the outlook for small businesses seems positive. More and more people are choosing to leave large corporations and set up businesses of their own. A survey recently found that 65 percent of people working in a corporate environment would rather be working for a small startup company. People are attracted to the idea of starting their own business because it could mean making their dream job a reality. It could also give people more control over their work, and the freedom to create their own rules and regulations. On the other hand, working for a large corporation is sometimes viewed as political and bureaucratic. Some people may feel that they are not respected within the organisation and are not given sufficient training or opportunities to progress. The UK Government seems to be taking notice of this development and facilitating this change in various ways. Lord Young’s third and final report on enterprise was published in June 2014 and focuses on encouraging enterprise in education. Of particular significance, Lord Young recommends the introduction of an ‘enterprise passport’. This passport will act as a digital record of all enterprise-related activity that a child has taken part in during their time in education. This move will allow young people to learn business techniques at an early stage in life and allow them to develop important employment skills. There many UK Government schemes available that help new and emerging businesses. The growth vouchers scheme helps small enterprises get strategic advice on finance, marketing and hiring and training staff. The decrease in corporation tax and the removal of restrictions on starting a business from home, will also benefit small businesses. Startup businesses that don’t qualify for government funding can apply for a bank loan. Or, new businesses may wish to try the popular method of crowdfunding to cover the initial costs of setting up. Crowdfunding involves gathering monetary contributions from a large amount of people. Additional funds can be raised by selling shares in the new business. There are plenty of funding options available and several online resources which help startup businesses find the right finance package. Budding entrepreneurs are encouraged to find mentors in the business world who can impart wisdom and provide advice. There are a number of services available that link up new businesses with business mentoring organisations. Mentors provide advice on dealing with difficult situations and give guidance on developing and improving the business. Market research is an essential element to launching a new enterprise. It is important to test any new products or services before selling them. Market research also allows a new business to receive feedback from potential customers. It is important to pay close attention to negative feedback and think about whether alterations to the product or service should be made. Researching the market also allows new businesses to identify and analyse competitors. New enterprises should start with a solid business plan. The development of a comprehensive plan is an essential step in order to set out the finer details, set goals and address any problems at an early stage. The plan will include a summary of the business, finance information and market research. It will also include details of competitors, as well as sales and marketing information. Business plan templates are available online to download from various sources. Businesses will need to present their plan to banks, potential investors and partners, so it is important that it is complete and professional. Experienced entrepreneurs recommend that every emerging business should have a website. Establishing an online presence is an essential way to spread the message about the goods and services that the enterprise provides. It is also important to use social media to reach out to potential customers and to other businesses. Commercial organisations are not only using social media to connect with customers, they are also using it to give their company personality. Images and videos are used to portray a more friendly, approachable organisation. Social media channels are also being used by businesses to provide customers with exclusive information and deals. It is also recommended that new businesses invest money in upskilling their staff. Even if the company employs a small number of people, this is still an important step. Providing regular training for your staff will ensure the business is kept up to date. Training will also keep staff motivated. Many businesses are now also offering their staff training in areas that are not directly relevant to their role, in order to boost morale. Startup companies should organize an opening event and hire a professional speaker to promote the business. Depending on the state of the company, this speaker could be used to motivate new employees or attract potential clients. If the speaker is being used to motivate employees, bringing in one of the top sales motivational speakers in the world makes sense because it can help these employees to hit the ground running. Having a well-known and reputable speaker associated with the company immediately adds credibility to the organization and that alone can generate sales as the business attempts to grow. New businesses are advised to think carefully about the right office space. It is not likely that a new business will want to be locked into a lengthy lease. The company may increase in size before the lease is up and so more suitable accommodation may be required. Businesses should consider the rent and running costs of the premises. It may be possible to find office space in Leeds available for rent at a reasonable price, as well as elsewhere in the UK. New businesses should also consider the type of space the business needs and what amenities are necessary. It is recommended that entrepreneurs work out what legal structure fits their business. The company may be set up as a sole trader, limited company or partnership. Each model comes with its own advantages and disadvantages. This decision should be made before registering for tax and trading.